Great, it works fine with Maya 2018, Very usefull! Finally had some time to spend with those tools, definitely making my life easier, but it's a bit confusing and "tutorial video links" are kind off broken and pointing to different tools. Otherwise great pack. Great tool, Very useful and saves a lot of time. 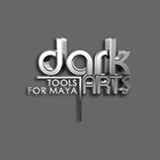 No compatibility with Maya2018 and lot of tools not working even in 2017. Great tools. They make quick work of some tedious modeling. Some tools are great and solid but most of them are without livepreview and feeling clunky. Simple UI with great tools, thx!